When Koch Park Dental in Florissant MO repairs a tooth that has dental caries or damage, the procedure chosen often depends on the location of the problem. We’re talking tooth-specific locale here. Inlays and onlays are a type of tooth restoration used successfully at Koch Park Dental. They are usually bigger than a conventional filling yet smaller than a complete crown. An inlay is used to fill an area inside the cusp tips or bumps of a tooth. An onlay covers an area that includes more than one cusp. At Koch Park Dental the inlays and onlays we place for our patients are indistinguishable from their natural teeth. We have the finely-honed eye for detail and complete mastery of dental aesthetics to design the restoration and create an exact match. Call Koch Park Dental in Florissant MO to book a cosmetic dentistry consultation today. Even if you value a healthy smile, it’s easy to become a bit negligent about smile-friendly lifestyle choices. In today’s post, our goal is for you to evaluate where you stand and look at whether you could step it up a notch. Committing to dental health best practices can prevent future problems and improve your quality of life. Best: Brush after each meal and floss correctly before bed. Better: See Dr. Buchheit once a year even if you don’t notice any dental issues. Best: Twice-yearly, have an intensive dental exam and professional dental cleaning at Koch Park Dental. Better: Use an OTC tooth whitening system at home. Best: Restore your smile with a beautiful, stable, and natural-functioning dental implant. Best: Eat a nutritious diet, limit between-meal snacking, eat lots of calcium-rich foods, steer clear of sugary snacks, abstain from energy drinks and soda, and sip water throughout the day to keep acid at bay. 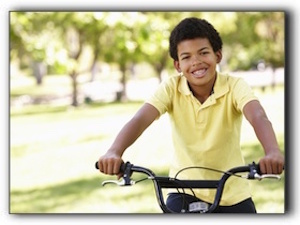 Best: In addition, meet with us about dental sealants when your child is young. When your little athlete starts participating in sports, make sure he/she wears a protective mouthguard. Set a good example of daily dental hygiene and healthy lifestyle choices. At Koch Park Dental in Florissant, we are dedicated to providing excellent dental health care. We offer general and cosmetic dentistry. Make an appointment with us today. When we perform an oral cancer screening during your dental examination, we will look for red or white spots, bleeding, lumps, difficulty swallowing, loose teeth, any color changes, and mouth sores. Is is critical to tell your dentist if your bite has changed, if you have sores that won’t heal, and prolonged hoarseness. An earache in only one ear can also be an indicator. The existence of any of these symptoms does not mean you have oral cancer, as they can be caused by any number of other conditions. However, if we discover something unusual, we may order additional tests or refer you to a medical doctor for further diagnosis and treatment if necessary. For more information about oral cancer screening, contact Koch Park Dental. If you are looking for an experienced dentist who provides general and cosmetic dentistry, we invite you to schedule a consultation. Porcelain veneers are an effective and versatile cosmetic dental option. They fit over teeth to improve appearance, and are available from Koch Park Dental in Florissant. Veneers are individual covers for the front part of teeth. They are a fantastic way to repair a myriad of tooth imperfections such as chips, stains, yellowing, unattractive shape or minimal misalignment. Have you ever looked for a minimally-invasive facelift for a tooth without getting an entire crown? Veneers are your solution! Super-strong, tooth-colored porcelain laminate is shaped into thin shells and custom-fitted for each patient’s unique set of teeth. How many veneers should you get? This depends on how many teeth you want to upgrade and the overall condition of your teeth. We can guide you on the most effective strategy. The thickness, enamel color, alignment, and shape of your teeth affect the result, as well as whether you have any gum recession. Veneers are matched to your existing teeth so they will blend seamlessly, but if you are planning to treat several teeth, you definitely want to have them constructed in the same time at the lab. The first step in the veneer process is to make a model of your teeth to work from. After that, a dental technician will use the model to fabricate the veneers to the specific size, shape, color, and quality of translucency. Many patients wonder if veneers are as durable as their natural teeth. Though the veneer tooth-prep process weakens the tooth slightly, with proper care, veneers can last up to 15 years. In addition to porcelain veneers, Koch Park Dental in Florissant provides general and cosmetic dentistry. Schedule an appointment with us today! Looking for a dentist because you’re losing the battle with plaque build-up, chipped teeth, tooth pain, stains, or dental caries? I’m Dr. Martin Buchheit with Koch Park Dental – Martin L. Buchheit, DDS. The state of your mouth is important to your fitness both emotionally and physically. Everyone wants to make an attractive impression when they smile or speak. We understand that. The look, the odor, the feel, the functionality of your biting surfaces are so important to your everyday experience that we recognize our essential role in finding solutions to these issues. Of course, your very first step is making contact. Please call 314-837-7744 or visit us at 2149 Charbonier Rd Florissant or online at http://www.kochparkdental.net/about-us/. When do you brush your teeth? Do you floss? How often? If not, why? 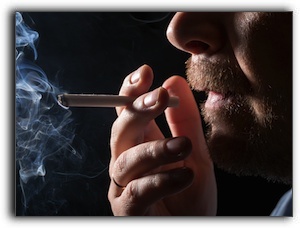 We can discuss your habits and establish what is holding you back, if anything. Persistent or intermittent? Sharp or dull? Triggered by hot or cold? Living with pain is needless with the technology and expertise available these days. Usually there are uncomplicated solutions to seemingly big pains. Let us address all your aches. If you can describe your optimal smile, we can consider how to achieve it. There are numerous possibilities for an exceptional smile redesign as well as dental maintenance procedures. 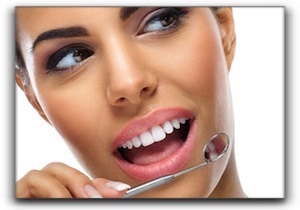 Cosmetic dentistry runs the gamut from teeth whitening to veneers to dental implants. We welcome questions about the cost of porcelain veneers, the price of filling a cavity, or placing a crown. We have answers for you. 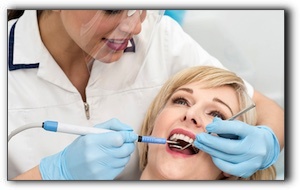 We are equipped and trained in procedures perfect for your needs. We see patients for Invisalign, restorative dentistry, and dental implants, to name a few. When it comes to looking for a dentist in Florissant or the surrounding communities, please know that you will be in gentle and capable hands with me, Dr. Buchheit, and my friendly team. Parents want what’s best for their children, but some can’t always provide everything their children need when the family budget is tight. If your child has crooked teeth and you are on the fence about braces, we encourage you to read this post. Young children with crooked teeth may not notice that anything is wrong, but eventually they will realize that their teeth don’t look right. Straight teeth make the whole face more pleasing and attractive. 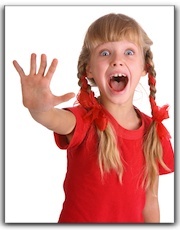 If your child is self-conscious about an unappealing smile, he or she will be reluctant to smile. A serious demeanor could impact the way he or she is treated by peers. If you suspect that your child’s bite is not aligned, we invite you to make an appointment with Koch Park Dental – Martin L. Buchheit, DDS. Dr. Martin Buchheit can evaluate your child’s bite and make recommendations to see a specialist if required. 4. Correcting a child’s teeth with orthodontia is quicker and easier when the jaw is young and flexible. 5. Crooked teeth can lessen your child’s capacity to eat a healthy diet. 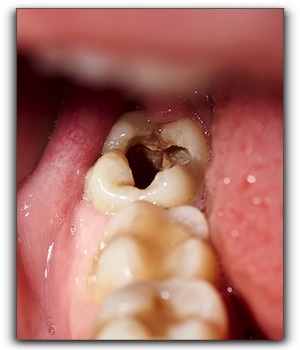 When uneven teeth begin to crowd together, it becomes challenging to make critical daily cleanings effective. And, when your teeth aren’t cleaned properly, problems with plaque build-up, cavities, and gum disease often result. 9. 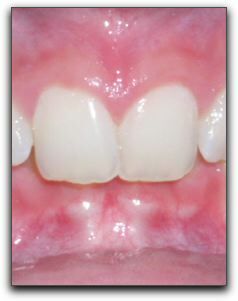 If the child’s crooked teeth are not fixed while they are young, the issues may compound and become worse with age. Severely crooked teeth often affect fitness and quality of life. For example, chewing troubles can lead to ulcers, and gum disease increases the risk of stroke and heart disease. Ceramic, self-ligating, and lingual (invisible) braces are some of the new orthodontia options. In some circumstances, invisible braces can be just as effective at adjusting teeth as the traditional type. To find out if your child needs braces, schedule a consultation at Koch Park Dental – Martin L. Buchheit, DDS by calling 314-837-7744. 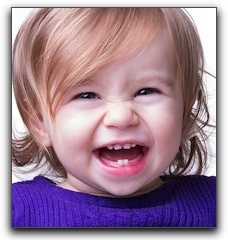 Today’s Florissant children’s dental blog focuses on the issue of caring for baby teeth. Why would you take care of something that’s just going to fall out and be given to the tooth fairy? It’s a good question and it has a even better answer. Chesterfield, Maryland Heights, and St. Charles parents shouldn’t feel like they are wasting their time because baby teeth are more important than many people might think. Baby teeth are needed to keep the proper amount of space available for the permanent teeth that will come in later. Baby teeth are also invaluable in the development of clear speech. This is especially important for Florissant parents who are dying to know what their child means when they point to something repeatedly and say ‘scklash’ or ‘grag-grag’. And, finally, tooth decay and infection can be passed down from baby teeth to permanent teeth as they develop below them. That’s not what you want for the teeth that St. Louis kids are going to have for the rest of their lives. You may be setting them up to need cosmetic dentistry procedures such as veneers and dental implants. Hi. I’m Dr. Martin Buchheit, an experienced, kid-friendly Florissant dentist. I want my patients to have the best oral health possible. I also want them to look their best, so if you have any questions about a smile makeover or teeth whitening, give us a call at 314-837-7744. Thanks for reading the St. Louis dental blog, and contact us today for all your dental needs!